With the invention of activity trackers and the integration of mobile phone applications, we recognized that there were various activities related to pets that could be dramatically improved. This is the genesis for Peppypets. Our purpose & passion at Peppypets is to increase the health & wellness & enjoyment we have with our pets. Our short-term focus on is on dogs but our long-term strategy is focused on all domestic animals. Peppypets does not focus on badges, points, or game-like information. We provide and track real information on pets so that pet owners better understanding the specific needs of their specific breed. Peppypets is a low-cost pet activity device that attaches to your pets collar and communicates with a mobile application that brings together all your pets health & wellness information. The product comes with a Community Manager that helps pet owners stay informed on local pet-friendly events and activities. The following are screen shots of the mobile application. When you first open the application, you'll review a brief tutorial explaining the various functions available within the app. You can click on an image below to zoom for details. 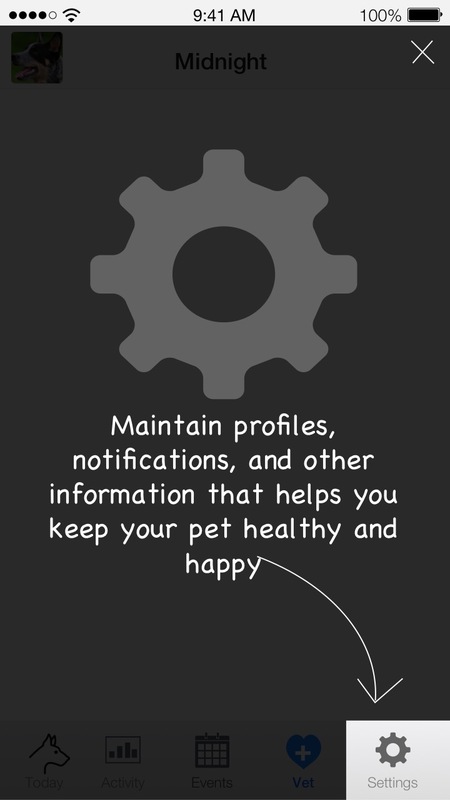 With the mobile application, you can access many cool features of Peppypets, including information you store about your pet, such as recent pet visits, fitness information, and information about upcoming pet-friendly events. You can click on an image below to zoom for details. We promise to keep your information private. And we won't spam you either. We will only use your email address to send you news about Peppypets.